‘For An Unknown Soldier’ is a cantata of remembrance to mark the centenary of the First World War. 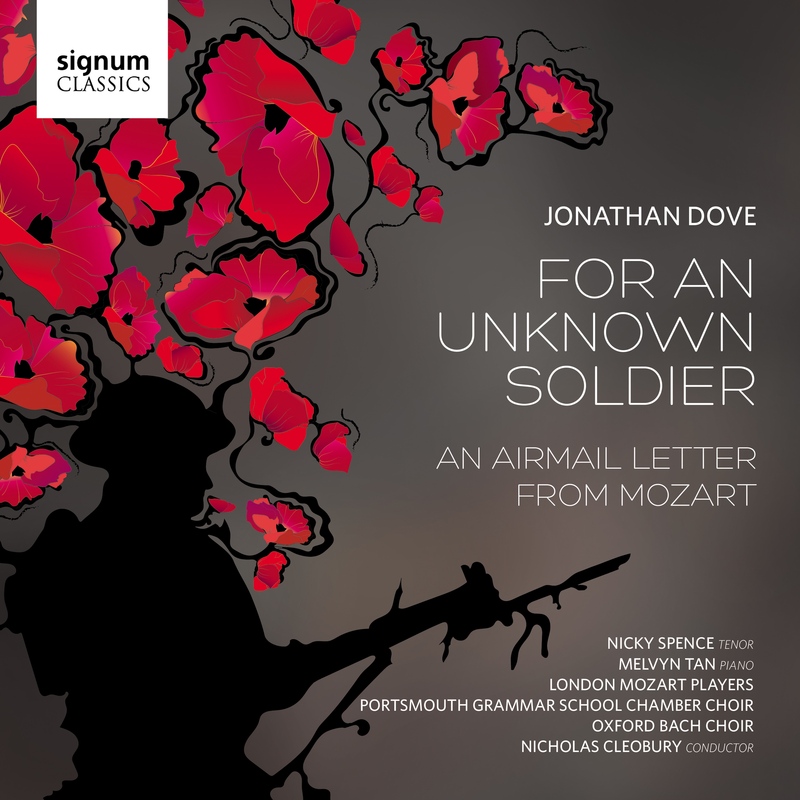 Commissioned by the London Mozart Players and Portsmouth Grammar School, Jonathan Dove’s poignant work combines the words of war poets such as Wilfred Owen, William Noel Hodgson & Isaac Rosenberg. It lay at the centre of a multi-faceted project that encompassed primary and secondary schools, nursing homes and the local communities of Portsmouth and Croydon. The world premiere of the work took place in November 2014 and there are plans to tour the project in 2018. It is paired with the ensemble’s performance of Dove’s ‘An Airmail Letter from Mozart’, for 2 horns, string quartet and piano, directed by Melvyn Tan. Dove uses the ‘Theme and Variations’, and one or two other ideas, from Mozart’s Divertimento K287 to write an imaginary letter to his wife Constanze.